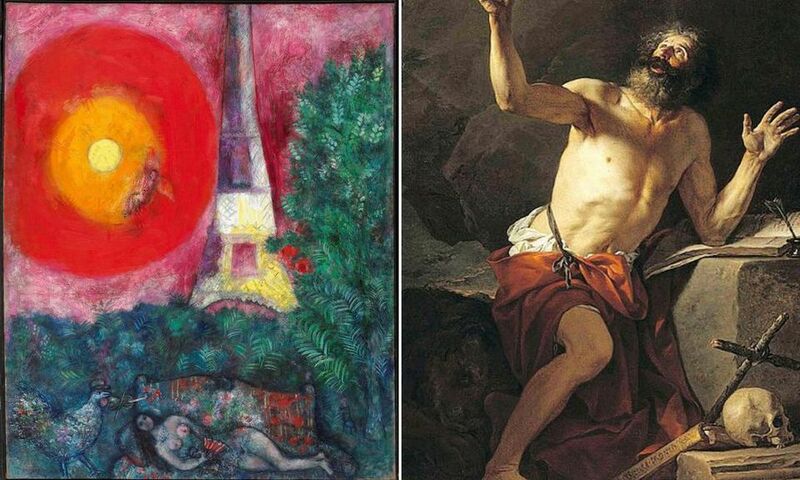 An anonymous “generous donor” has stepped in to pay a penalty incurred by the National Gallery of Canada, in Ottawa, after it pulled Marc Chagall’s La tour Eiffel (1929) from a sale at Christie’s. The work’s rushed deaccession to fund the purchase of another painting before it left the country—Jacques-Louis David’s Saint Jerome Hears the Trumpet of the Last Judgment (1779)—raised a storm of criticism when it came to light last month and has thrown a shadow over the nearly decade-long career of the museum’s director, Marc Mayer. In April, Marc Mayer said he had to sell the Chagall “in a rush” so the Onatrio gallery could buy another “major and unique work” in danger of leaving the country. It was soon revealed that this was David’s Saint Jerome, inspired by another painting by Jusepe de Ribera. On loan to the Montreal Museum of Fine Arts, which was not aware of the National Gallery’s move, the painting is owned by the Parish of Notre-Dame Cathedral in Quebec City, which is raising money to restore its basilica. But the Church says it never intended to sell the work abroad. Mayer’s argument became moot when Quebec’s Minister of Culture Marie Montpetit classified Saint Jerome as a heritage asset, meaning it could not leave the neighbouring province. The painting’s history is deeply rooted in the French-speaking region: it had been owned by Cardinal Joseph Fesch, Napoleon’s uncle and a collector, and had been donated by his granddaughters to the Abbot of Quebec’s cathedral, after fire severely damaged the building and its art in 1929. They also donated the rest of their grandfather’s collection to the seminary. The National Gallery’s board then decided to drop its plans to acquire Saint Jerome, and cancelled the sale of the Chagall painting, less than three weeks after the consignment was announced. This led members of Ottawa’s parliament to demand an explanation from the National Gallery of the management of its public funds, which nearly had to be used to pay a hefty fee to Christie’s for pulling the work from auction. A spokeswoman for the museum says it cannot disclose the amount of the penalty as part of the agreement with the anonymous donor. In a joint statement with the museum, Christie’s says they are “now working together on next steps to return the painting” to Ottawa. Meanwhile, the Montreal Museum of Fine Arts and the Musée de la civilization in Quebec City are now trying to raise the $5m needed to jointly acquire David’s work, with Bondil suggesting that the cathedral restoration’s should be subsidised to help secure the art deal.